Pack your bags and know that paradise is just a step away. When you stay at Erofili apartments you are in the middle of the island so you can explore both ends with minimum effort. Here is just a taste of the amazing places you can find in our beautiful sland! 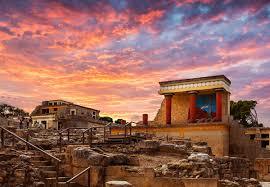 Hersonissos is one of the most organized and visited tourist destinations in the island of Crete. The natural beauty of its coasts, the rich nightlife and the mass tourism only represent the one side of the coin “Hersonissos”. The other less known side , consists of the huge historical heritage of the area ,deriving from the Minoan civilization on the 27th century BC. 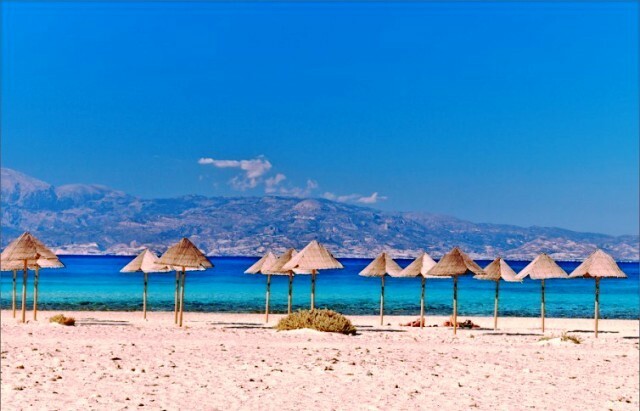 Situated 25 km on the east of the city of Heraklion and international airport “Nikos Kazantzakis” , Hersonissos offers access to a variety of remarkable places and attractions that await to be discovered. The glamorous and charming capital of Crete and Minoan civilization hosts the greatest port of the island and one of the largest cities in Greece. Knossos, the small suburb of Heraklion hides the famous ancient palace of King Minos, life, which is visited by hundreds of people daily. The combination of life, shopping, and restaurants together with the archaeological sites all over the city will leave any visitor with the best of memories. 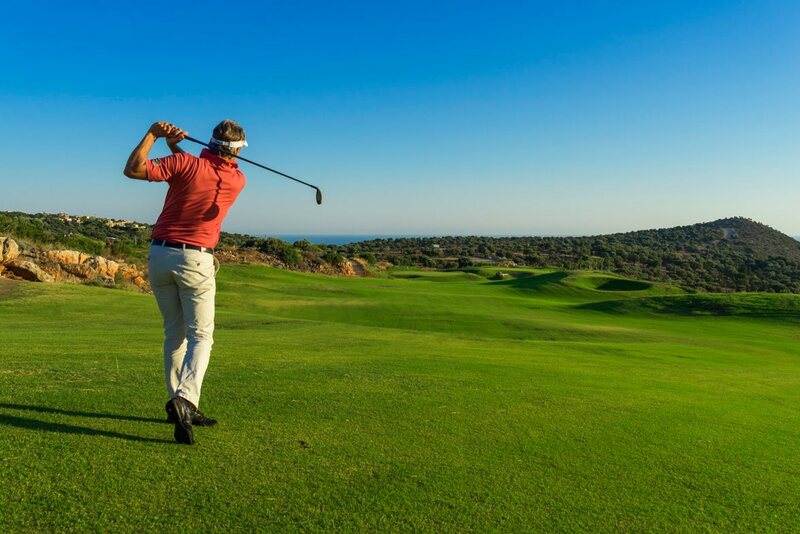 The Crete Golf Club is a championship 18-hole golf course , one of the most impressive golf cources in southern Europe and the largest on the island of Crete .At the distance of just 5 km from Hersonissos , the visitors and lovers of the sport will come across a unique challenge and a pleasant experience in a mountain-style scheme.The panoramic view of the mountains of Crete and the harmony of the surrounding layout are perfectly combined with the mild weather in the area all year round. Being the most popular water park on the island, Aqua Plus offers great fun and good service to thousands of visitors annually. 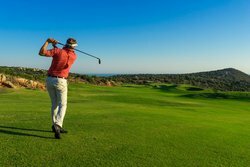 Located next to the Crete Golf Club, 5 km away from Hersonissos, it certainly worths a visit. 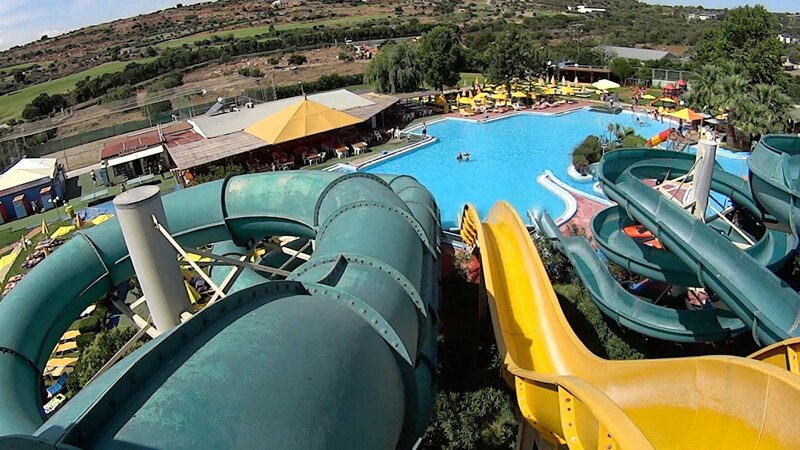 Consisting of separate sections for both adults and children, it guarantees extreme slides and adrenaline boost for the former and joyful water games for the latter. 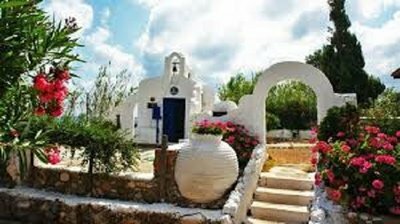 Built with the prevalent raw materials (stone, wood, clay ), this museum offers the visitors a taste of the ancient Cretan village and life. Situated between Salida and Hersonissos and easily accessible by car or bus, it is an ideal alternative option if someone has no time to discover the mainland and traditions of Crete. Audio-guided tours are available in a variety of languages, in order to provide accurate information concerning the exhibits, which vary from agricultural implements to local herbs and rhymes. 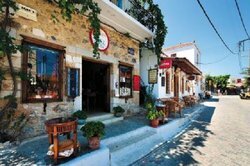 The island of Chrissi is protected by Natura 2000 Networking Programme since it serves as a shelter for wildlife. It features an unparallel ecosystem, an "area of intense natural beauty". The untouched beaches with the crystal clear waters, the countless limpets, shell fossils and corals residuals of the time Chrissi was under the sea, the evergreen forest, the beautiful reddish sand due to the lichens and mosses, the tombs carved from the Roman times as well as the Saint Nicolas church are without a doubt going to make you feel like you are at a daydream! 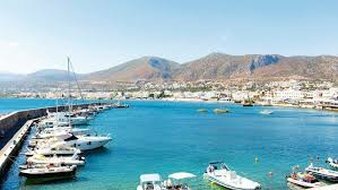 In order to reach the island you have to go to the town of Ierapetra and from there take the boat to the island of Chrissi. The boat trip takes about 45 minutes. A drawback of the island is that at when you go into the sea at the beginning of it there are white rocks that can be slippery at times. An additional remark is that since the island is situated in the open Libyan Sea can be the case that it is windy. So we would advise you to check the weather forecast before visiting this amazingly beautiful island. These three picturesque small villages are located on the hillside of the mountain Charakas, which overlooks the port of Hersonissos. Being an ideal choice for someone who seeks relaxation as well as an escape from the crowds, the traditional taverns of these villages offer a combination of tasteful Cretan cuisine and the magnificent view of the gulf. The palace of Knossos is the most well known archaeological site in Crete, a landmark you have to explore in case you decide to visit the beautiful island of Crete. The palace of Knossos was the center of one of the most advanced civilizations of the ancient times, the so called Minoan civilization. The palace, the tombs and the mansion of royals as well as the room of murals render it one of the important relics of an ancient civilization, the marks of which are hard to erase from history. The structure of its corridors was so sophisticated that was given the name "Labyrinth" the place where the mythical Minotaur used to live according to the Greek mythology. 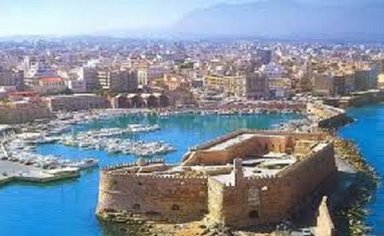 The magnificent plan of architecture, the use of uncommon and imposing materials, the progressive drainage system and the huge size of the palace render it one of the most important and incredible sites in Crete. 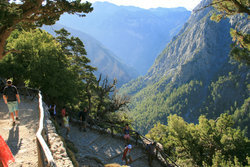 Situated on the south of the prefecture of Chania, Samaria gorge is the most popular gorge in Crete. It is 18 km long and takes between 4 to 7 hours to walk from the position Xyloskalo in Omalos Plateau with an altitude of 1200m to Agia Roumeli. The most renowned part of the gorge is the Iron Gates where the width of the sides is only 4 meters long. 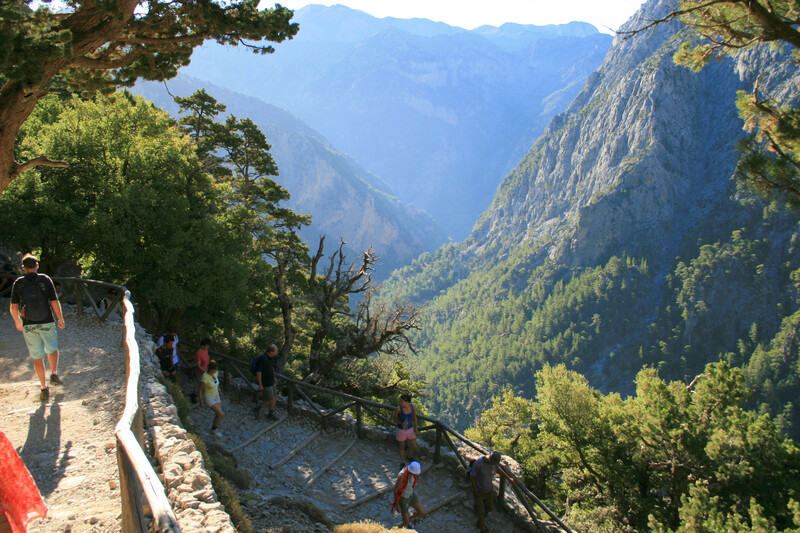 Samaria gorge is a national park that hosts a lot of endemic species, flowers and birds. It is also the shelter for the Cretan wildgoat or Kri-kri as it is also known. The only disadvantage we could find is that due to its popularity it becomes very crowded in the summer time, so in case you do not like crowded places it is better off to either start very early or avoid it in the peak season. In our opinion, the best time to visit the gorge would be in the spring. The gorge is of medium difficulty but good hiking shoes are definitely needed! It is normally open from 1st of May till the 31st of October from 7 a.m. but sometimes closes due to bad weather conditions so it is better off if before going to call at +30 2821067179. 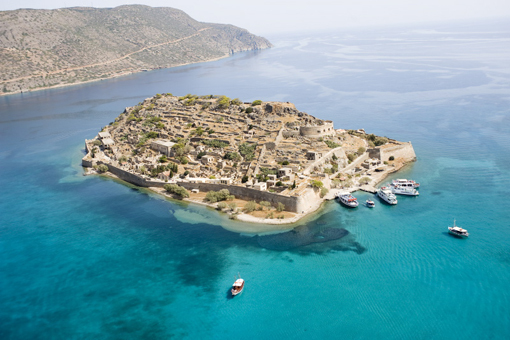 In Spinalonga there is a deep connection of history and culture with human tragedy. Its history starts even in the time of Ancient Greece since it was used as a natural protection from the old city of Olous, it served as a hideout for the Saracen pirates, as a fortress for the Venetians and as a settlement for the Othomans. 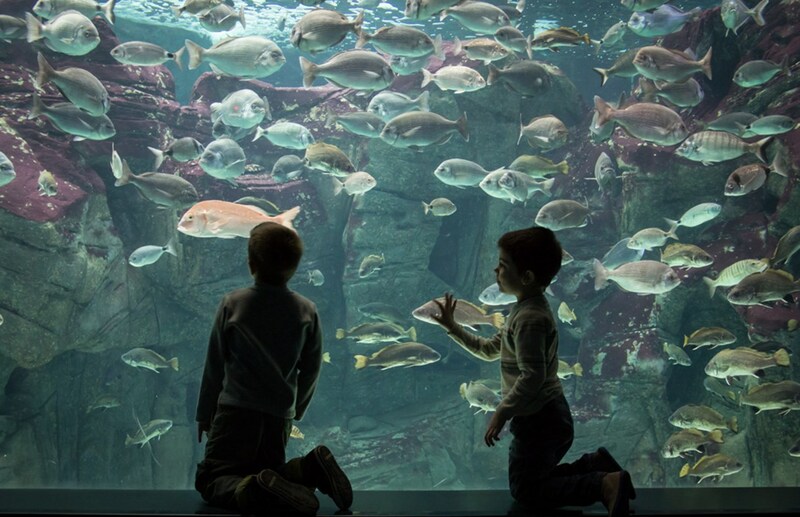 Located in the former American base in Gournes (about 15 km away from Heraklion), Cretaquarium combines technology with research and education with recreation, the world of marine in the Mediterranean sea. In the aquarium you are going to see different kinds of marine species, from tiny fishes and clams to large sharks and tuna. In case you would like to have a coffee or refreshment drink there is a cafe located in the building with amazing views to the sea.